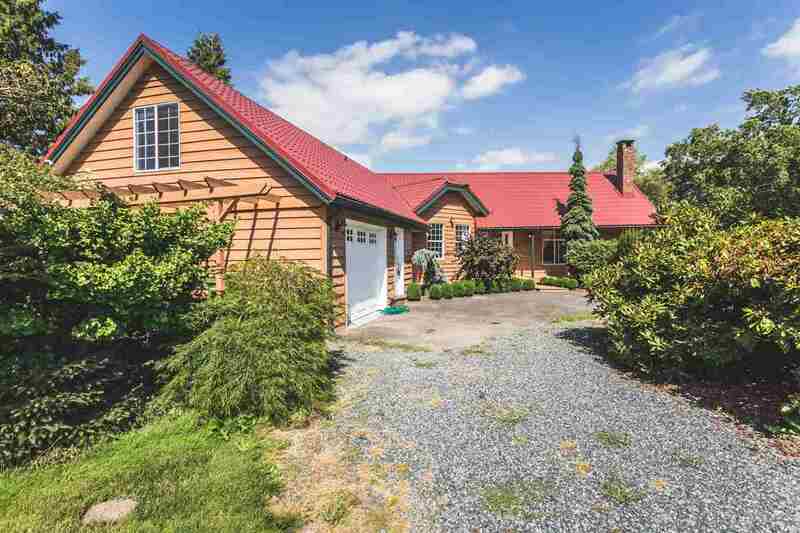 .73 Acre paradise 100 FT OFF THE MAIN ROAD with raised garden beds, fruit trees and berries, fabulous flower gardens, backing onto the Hope River and boasting a mountain view. Recent updates include fresh paint, moldings, and a new bathroom. 9 years ago this home had the roof, furnace, windows, h/w tank, and insulation replaced. This unique design has hardwood in the family rm, solid wood cabinets with pot drawers in the kitchen, 2 bdrms. on the right, with the master bdrm, office/bdrm on the main and a wrap around deck. Outside is a chicken coop, small roaming pasture to the east with an in ground pool behind private landscaping to the west of the property.